This past week marked the 2nd anniversary of demonetised old currency notes ₹500 and ₹1000. This announcement came in as a big shock to its citizens and was the first major reform by the Government to cleanse the economy. The 2nd major reform was GST. Every family in India has a tale on how demonetisation impacted their life. 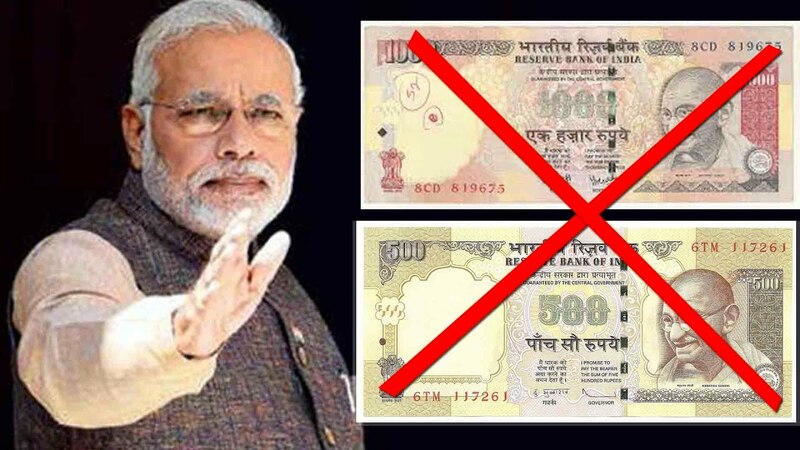 Quoting figures 3.5 million jobs were lost, 1.5 % GDP shaved off and ₹8000 crore loss for replacing the old currency. Apart from those stats the physical and mental torture to people has no account. Today small businesses face severe cash crunch and loss of sales which directly puts pressure on expansion and hiring prospects. Non Banking firms and real estate sectors saw a slowdown by over 50%. Another major slump was in the Tourism and Hospitality sectors that saw a decline of 45%. The Government of India (GOI) and BJP have maintained that demonetisation was a success, it said by saying digital transactions grew by 1000% and 17% rise in tax returns. Experts suggest Government is hiding behind the veil of digital transactions. The Government is aware that its move was wrong and utter disaster, but acceptance could cost them another elections. So they choose to stay mum. The Government is not celebrating its 2nd anniversary, as its the election year. It knows this could create a negative impact on their campaign.